The Baby Elegance Baby On Board Sign is not just for fun – it’s a useful way of letting other road users know that you have a child in your car, so they can take special care. 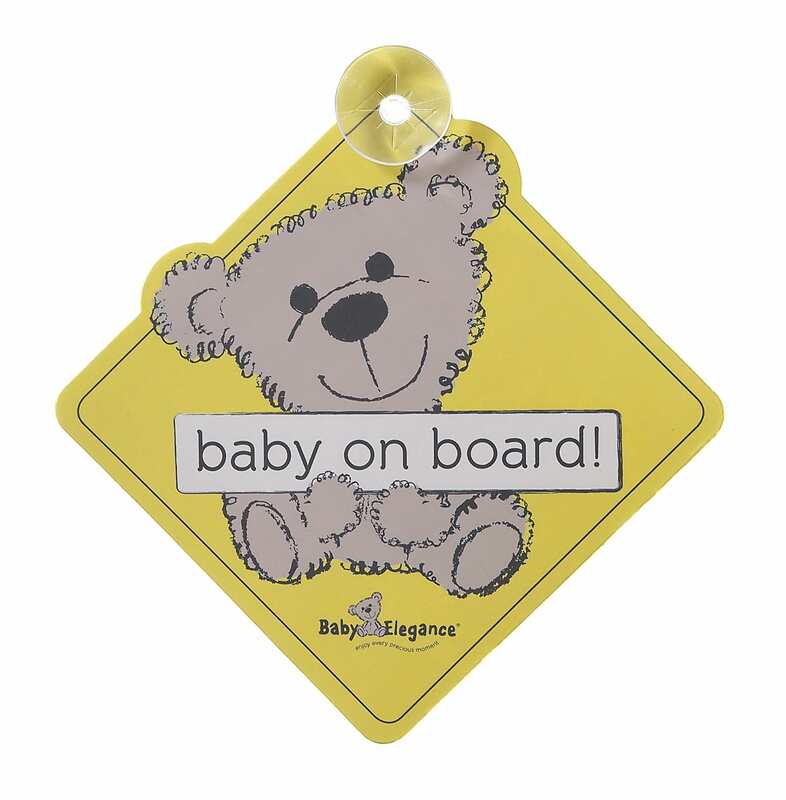 This Baby on Board Sign will see you right through your little one’s childhood – on one side it reads Baby on Board, and on the other Child on Board, so it’s the only sign you’ll ever need. It fixes easily to the inside of most rear windscreens.